Book Raghuram Rajan as a keynote speaker. Raghuram Rajan is the Katherine Dusak Miller Distinguished Service Professor of Finance at The University of Chicago Booth School of Business. He was the 23rd Governor of the Reserve Bank of India between September 2013 and September 2016. Between 2003 and 2006, Professor Rajan was the Chief Economist and Director of Research at the International Monetary Fund. For more information on Economics speaker Raghuram Rajan, contact VBQ Speakers founding agent Leo von Bülow-Quirk on leo@vbqspeakers.com or 0044 7833 727090. Raghuram Rajan is the Katherine Dusak Miller Distinguished Service Professor of Finance at The University of Chicago Booth School of Business. He was the 23rd Governor of the Reserve Bank of India between September 2013 and September 2016. Between 2003 and 2006, Professor Rajan was the Chief Economist and Director of Research at the International Monetary Fund. Professor Rajan’s research interests are in banking, corporate finance, and economic development, especially the role finance plays in it. He co-authored Saving Capitalism from the Capitalists with Luigi Zingales in 2003. He then wrote Fault Lines: How Hidden Fractures Still Threaten the World Economy, for which he was awarded the Financial Times-Goldman Sachs prize for best business book in 2010. His most recent book is I Do What I Do (2017), a compilation of his speeches and writings from when he was Governor at the Reserve Bank of India. Raghuram Rajan is a member of the Group of Thirty. He was the President of the American Finance Association in 2011 and is a member of the American Academy of Arts and Sciences. In January 2003, the American Finance Association awarded him the inaugural Fischer Black Prize for the best finance researcher under the age of 40. His other awards include the Infosys prize for the Economic Sciences in 2012, the Deutsche Bank Prize for Financial Economics in 2013, Euromoney Central Banker Governor of the Year 2014, and Banker Magazine (FT Group) Central Bank Governor of the Year 2016. 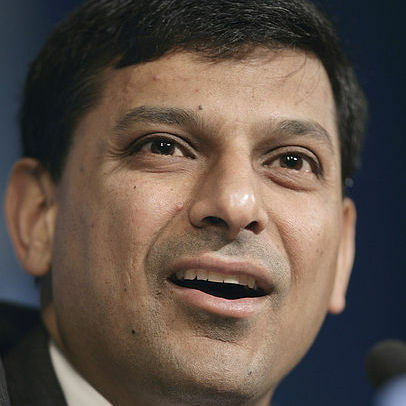 Raghuram Rajan is one of the world's leading experts on trends in global economics, finance and development. Having served in some of the most high-profile and demanding public policy roles globally, he is also able to elucidate the difficulties of translating academic insight into positive real-world action.